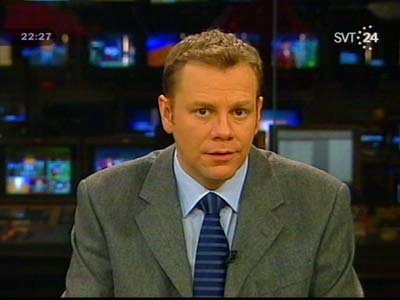 Viasat: Ny frekvens for SVT 24: 11919.00MHz, pol.H (DVB-S2 SR:28000 FEC:3/4 SID:4418 PID:4416[MPEG-4]/4417 Sweden- VideoGuard). Viasat: Ny frekvens for SVT 24: 11862.00MHz, pol.V (DVB-S SR:27500 FEC:3/4 SID:3485 PID:3481/3482 Sweden- VideoGuard). Viasat: En ny kanal har startet: SVT 24 (Sweden) i DVB-S on 11881.00MHz, pol.H SR:27500 FEC:5/6 SID:5035 PID:5031/5032 Sweden - VideoGuard. Canal Digital Nordic: PID er blitt endret til SVT 24 on 11216.00MHz, pol.V: PID:518/664 Sweden SID:3012 ( SR:24500 FEC:7/8 - Conax). Canal Digital Nordic: Ny frekvens for SVT 24: 11421.00MHz, pol.H (DVB-S SR:24500 FEC:7/8 SID:3012 PID:523/684 Sweden- Conax). Canal Digital Nordic: Ny frekvens for SVT 24: 11216.00MHz, pol.V (DVB-S SR:24500 FEC:7/8 SID:3012 PID:517/660 Sweden- Conax). SVT 24 switched to Astra 4A satellite at 11881.00MHz, pol.H (DVB-S , 11881.00MHz, pol.H SR:27500 FEC:3/4 PID:5021/5022 Sweden). SVT 24 switched to Astra 4A satellite at 11785.00MHz, pol.V (DVB-S , 11785.00MHz, pol.V SR:27500 FEC:3/4 PID:2561/2562 Sweden). Viasat: Ny frekvens for SVT 24: 11785.00MHz, pol.V (DVB-S SR:27500 FEC:3/4 SID:2420 PID:2421/2422 Sweden- Viaccess 2.3 & VideoGuard). Canal Digital Nordic: Ny frekvens for SVT 24: 12303.00MHz, pol.V (DVB-S SR:27800 FEC:3/4 SID:3012 PID:523/684 Sweden- Conax).